Last week I found myself in an interesting conversation with an Uber driver. “This is my third month using the Uber app and I keep asking myself why I didn’t do this before,” he said, as we crawled through the Delhi traffic. He was a lean man in his mid-twenties, with dark circles around his eyes. On an average day he spent about 13 hours behind the wheel. He didn’t complain because the earning potential was strong. “I have taken this car on loan and have to pay a monthly interest of 10,000 rupees. The rest I get to take home,” he continued. I thought about how useful that information would be to the government; how much better they would be able to support him if they knew – his monthly income for the past year, the hours worked and how much interest he had pending, for example. India would reach new heights, I thought, if only we could put the systems in place to measure these basic indicators. Interestingly, in the last few years, that’s exactly what has begun to happen. The Indian government recognizes that it has an ambitious populace – people are opening businesses, becoming more educated and working harder at their jobs. And in order to understand, respond to and nurture this population, a series of initiatives have been introduced at a national and state level. Until recently, the government monitored citizens in the “old-fashioned” way: a socio-economic caste census (SECC) collected house-to-house every 10 years. Among others things, it would tell government administrators who was or wasn’t eligible for welfare aid. Given the constantly changing nature of society – people moving in and out, families expanding and reducing – this meant the government’s data sources were not up to date, and this meant it wasn’t able to serve the population effectively. This has now changed. The government is working hard to collect all citizen information on a central grid, whether it’s the Aadhaar card , which gives a unique ID to all citizens and meticulously collects data on their background (including a biometric scan), or a mandate that all Indians open a bank account and become a part of the formal economy. After all, it’s only when a government understands its citizens that it can truly serve them. If the government knows how many people are living in poverty or how many school-age children are in specific communities, then it can plan accordingly. Being able to collate basic citizen data is the first step to properly planning policies. India’s economy is organized chaos. People looking in can tell that companies are doing well and citizens are thriving, but in a cash-heavy economy it’s hard to know for sure. Exactly how profitable are certain companies and which sectors are doing better than others? To what extent does the government need to drive additional growth? These are some of the questions policy-makers ask before putting measures into place. Unfortunately, with most transactions happening in cash and little available data, they’re often left guessing. On 8 November 2016, an unexpected announcement by Prime Minister Narendra Modi opened the door for the government to start measuring its economic activities. By demonetizing the largest rupee notes, Modi placed tremendous emphasis on digital transaction. He advocated the use of platforms such as Paytm; he spoke about using credit and debit cards; yet again he nudged citizens to open bank accounts. He was pushing the country into a new era, where formal transactions and accurate data points would allow the government an objective insight into the financial health of the country and the ability to design suitable policies. There has been an increasing reliance on data to understand the gaps in public service delivery over the past few years. For example, the Andhra Pradesh state government has developed a dashboard that registers agricultural yield and school attendance rates, and it uses this data to inform policy interventions in areas it sees as lagging. Other states, such as Uttar Pradesh and Orissa, have followed a similar model. Despite so much accumulated information on public service delivery, for the past several years the data has been sitting idle in state information systems. Recently though, there has been an uptake in using it to understand the current landscape and for creating new policies. Decision-makers now have precise information on the state of public services, and the use of objective data in policy-making is already creating waves. 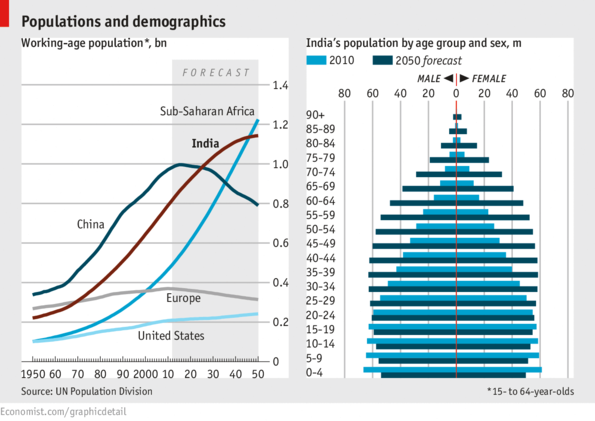 India is changing, and quickly. The young Uber driver was just an example of the insuppressible energy of a great and ambitious nation. To ensure it continues along the right path, policy-makers need to understand the people and their capacities. The government has already set up the systems to do so; the focus now should be on successfully implementing them.